Coastal Paintings - Original paintings and Prints are available at Franklin Square Gallery and Ricky Evans Gallery in Southport NC. 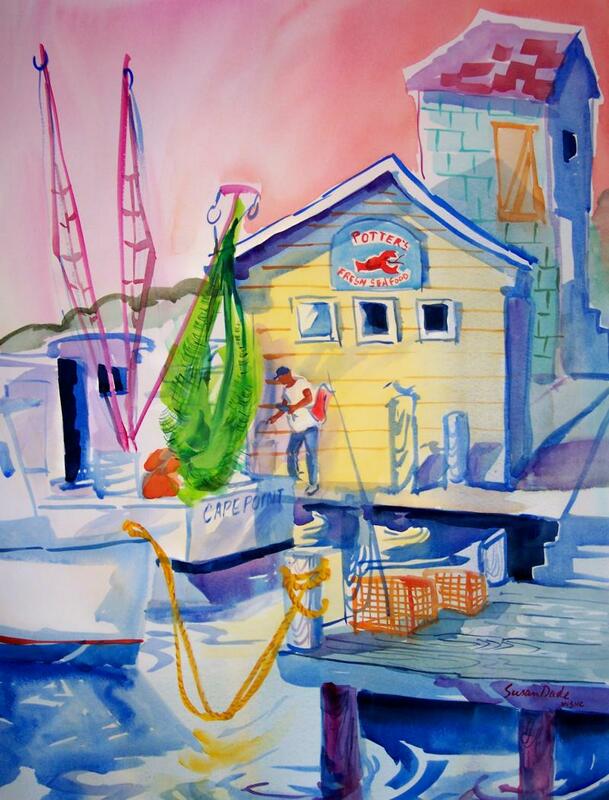 In Calabash NC at Sunset River Marketplace- In Wilmington at WHQR's MC ErnyGallery 254 N. Front St. and The Artisan's Gallery at St.James Plantation ,Southport NCContact the artist at the information above. Contact the artist at the information above. Dade has been an artist her entire life. This year, her work "Southport at Noon" is featured on StarNews Media's 2016 Commemorative Cup, the 29th in a series started in 1992 featuring North Carolina's artists. 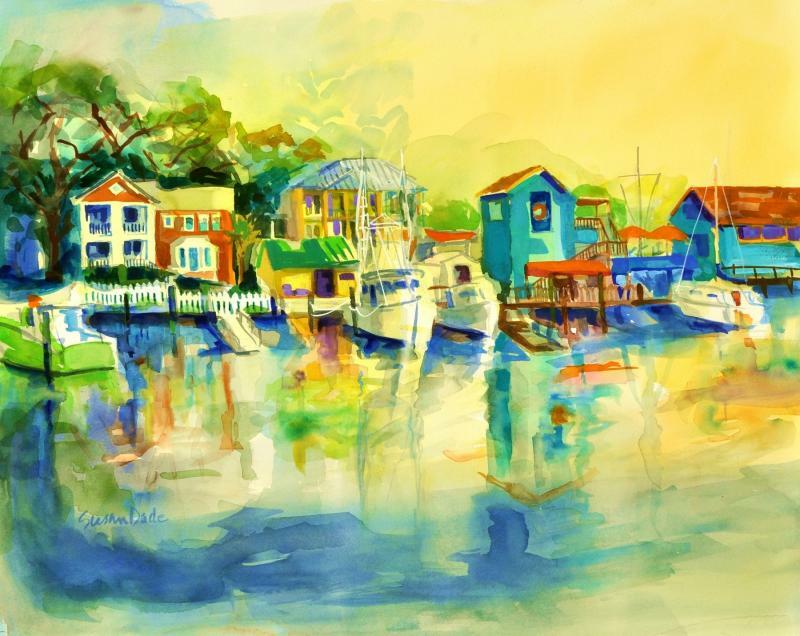 Dade moved to Brunswick County in 1994, where she has been painting scenes from Southport, Wilmington and other areas ever since. Before moving to NC Dade spent many years as a fashion illustrator and teacher in new York City.